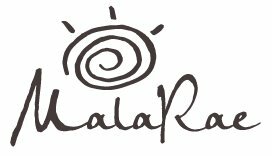 MalaRae offers wholesale malas, bracelets, wraps, and stacks to stores and studios for wholesale pricing. We would love to collaborate with your company! To learn more, please fill in the form with the following information and we will be in touch. MalaRae is a unique mala company based in the Ottawa region of Canada. The owner, Kyla Rae, designs and makes each piece herself with care, craftsmanship, and attention to detail. As the process of making malas influences the energy of mala beads, each piece is made with love and only during a positive and peaceful state of mind. We use only top quality semi-precious gemstones and crystals. Our malas are handmade and knotted between each stone. The number of stones in our malas are made to the specific spiritual number of 9. We do not mass-produce our pieces, and we do not outsource the making of our pieces to factories abroad. Once complete, each piece is sage cleansed and moonlit charged. It is our hope that this space and our mala beads bring your mind, body and spirit a sense of true peace and positivity.